The new logo looks a lot like Obama’s logo (though presumably it was in progress before Barack Obama came up with his logo). Speculation about who these 25 influencers are that Pepsi chose, and how they chose them. 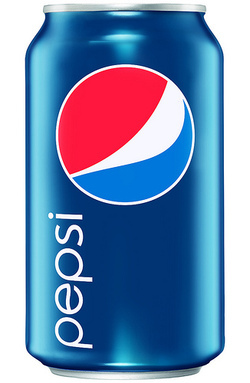 Observations that this campaign won’t necessarily get any of the bloggers to like or drink Pepsi any more. 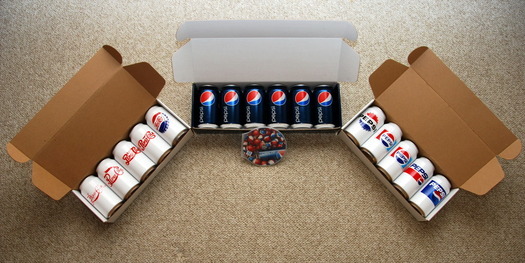 I would argue that this is a very well executed campaign for one simple strategic reason that ironically some of my fellow marketing bloggers are missing … the point of sending these cans to the 25 bloggers was not to get them to start drinking or liking Pepsi. It was presumably to get them to write about Pepsi’s new brand to generate awareness and coverage within the marketing industry. Going by the compiled list of participants on Darryl Parker’s site who have written about it (and including this post you are currently reading), their hit rate is 15 out of 25 bloggers so far who have posted about it. Though some, like Mack’s post couldn’t possibly be called positive coverage since he doesn’t mention the brand and didn’t have that positive of an experience, the follow on effect of other bloggers talking about the campaign would have to be judged a success. The choice to make it exclusive, the undeniable marketing story of seeing the 100 year brand logo evolution of one of the largest brands in the world on a series of cans (which most marketing bloggers would care about on some level), and the generally positively reviewed new logo means that Pepsi will probably get exactly what they wanted from this campaign … for a handful of marketing bloggers who collectively reach a large percentage of the marketing community to all be talking about Pepsi’s new logo. More importantly, many of whom (like me) who have never posted about Pepsi before now have a reason to. They are trying to keep the dialogue going in a community on Friendfeed called the Pepsi Cooler – and though I agree with some of my fellow bloggers that this campaign alone may not offer me a reason to continue talking about Pepsi beyond this one launch, on some level if I were Pepsi I would look at this effort and call it a successful experiment in engaging bloggers and hope to see many more such efforts from the brand.